What is the cheapest way to get from Caloundra to Rainbow Beach? The cheapest way to get from Caloundra to Rainbow Beach is to drive which costs $20 - $30 and takes 2h 12m. What is the fastest way to get from Caloundra to Rainbow Beach? The quickest way to get from Caloundra to Rainbow Beach is to drive which costs $20 - $30 and takes 2h 12m. Is there a direct bus between Caloundra and Rainbow Beach? No, there is no direct bus from Caloundra station to Rainbow Beach. However, there are services departing from Caloundra station and arriving at Rainbow Beach via Maroochydore. The journey, including transfers, takes approximately 5h 9m. How far is it from Caloundra to Rainbow Beach? The distance between Caloundra and Rainbow Beach is 100 km. The road distance is 165.7 km. How do I travel from Caloundra to Rainbow Beach without a car? The best way to get from Caloundra to Rainbow Beach without a car is to bus which takes 5h 9m and costs $35 - $75. How long does it take to get from Caloundra to Rainbow Beach? It takes approximately 5h 9m to get from Caloundra to Rainbow Beach, including transfers. Where do I catch the Caloundra to Rainbow Beach bus from? 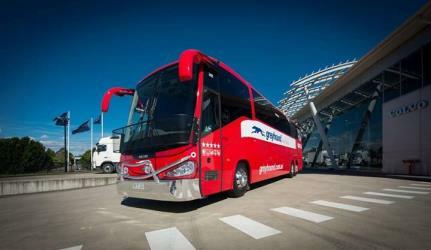 Caloundra to Rainbow Beach bus services, operated by Greyhound Australia, depart from Maroochydore station. Where does the Caloundra to Rainbow Beach bus arrive? Caloundra to Rainbow Beach bus services, operated by Greyhound Australia, arrive at Rainbow Beach station. Can I drive from Caloundra to Rainbow Beach? Yes, the driving distance between Caloundra to Rainbow Beach is 166 km. It takes approximately 2h 12m to drive from Caloundra to Rainbow Beach. Where can I stay near Rainbow Beach? There are 183+ hotels available in Rainbow Beach. Prices start at $105 AUD per night. What companies run services between Caloundra, QLD, Australia and Rainbow Beach, QLD, Australia? 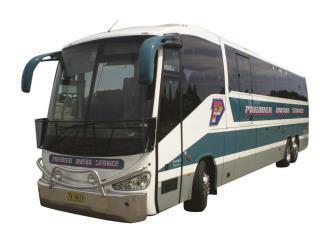 Greyhound Australia operates a bus from Caloundra to Rainbow Beach once daily. Tickets cost $30 - $65 and the journey takes 3h 25m. 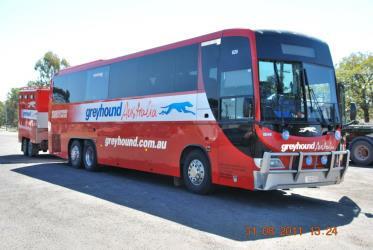 Greyhound Australia is the country’s only long distance bus operator running services in all states and territories. 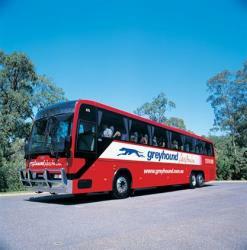 Greyhound Australia has been operating for 110 years and is the leading bus company in Australia. The extensive network now covers most of the Australian mainland and services more than 5 million passengers every year. 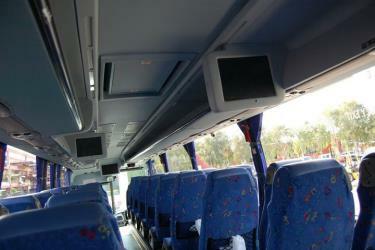 Buses are equipped for the long journeys, with free WiFi, air-conditioning, full disability access, USB chargers in every seat and an on-board restroom. If you’re looking to escape from the world, try these remote landscapes and tucked-away towns. Discover how to get to attractions and hotels near Rainbow Beach. The Cooloola Tramway is a heritage-listed tramway at Great Sandy National Park, Cooloola Recreation Area, Cooloola, Gympie Region, Queensland, Australia. In the 1870s it was known as the Kaloola Railway. It is also known as Cooloola Railway, SEQ-5N 22, Pettigrew's Railway, and Pettigrew's Tramway. It was added to the Queensland Heritage Register on 12 July 2013. Double Island Point Light is an active lighthouse located at the summit of Double Island Point, a coastal headland within the Cooloola section of the Great Sandy National Park. It is located at the southern end of Wide Bay, 70 km north of Noosa Heads, Queensland, Australia. Pipeclay is a national park in Queensland, Australia, 165 km north of Brisbane. Rome2rio makes travelling from Caloundra to Rainbow Beach easy. Rome2rio is a door-to-door travel information and booking engine, helping you get to and from any location in the world. Find all the transport options for your trip from Caloundra to Rainbow Beach right here. Rome2rio displays up to date schedules, route maps, journey times and estimated fares from relevant transport operators, ensuring you can make an informed decision about which option will suit you best. Rome2rio also offers online bookings for selected operators, making reservations easy and straightforward.